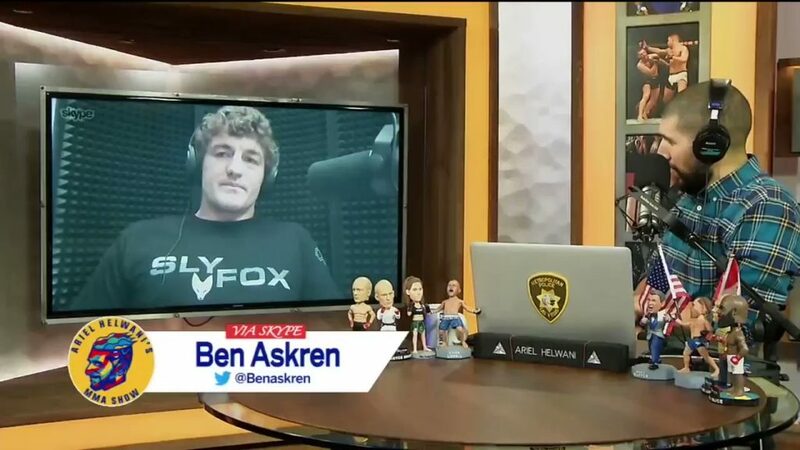 For all the time in the world that Ben Askren has taken for landing in the biggest MMA organisation in the world, his way of handling the attention has proved it all worthwhile. Even in his first press conference, Ben didn’t have any pre-fight jitters. In a room that was full of UFC veterans and legends in the form of Jon Jones, Robbie Lawler, Tyron Woodley to name a few, Askren stole every bit of limelight. However, despite him being matched up with Robbie, Askren had much of his altercations with Kamaru Usman. 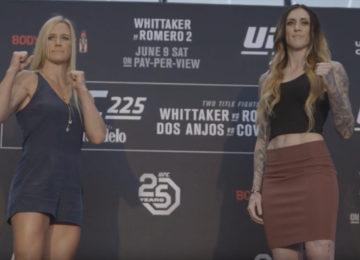 After a brief confrontation backstage, the two went at each other in the press conference. The undefeated welterweight appeared on Ariel Helwani’s MMA Show to shed some light on the issue. Speaking on the backstage video that came out, Ben remarked, “I can’t believe Marty put that video out. This is what I don’t like about fighters. We know you are tough. You fight in a cage. You know nothing is gonna happen there. Why are you getting in my face?” For the uninitiated during his college days Usman was known in the wrestling world as Marty. Ben went on to ridicule Usman for everything that he had said during the presser. Despite Usman addressing him as a “young man”, Askren cleared that he is actually four years elder that him. Regardless, what has possibly put Askren on the top of this beef is a revelation made by him during the show. Ben revealed that despite all the shade that Usman has been throwing at him, he actually is a big “Funky Ben” fanatic. He claimed to have a photograph of the two together where Usman is wearing one of the really popular Funky Ben t-shirts and has actually an afro wig on as well. As promised, Askren later posted the picture on his Instagram. As promised on @arielhelwani show!!!! @usman84kg is a Funkamaniac. When asked about his future plans, Askren laughingly rejected the possibility of Usman beating Woodley. 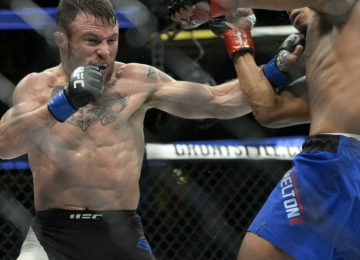 He further added that he plans on fighting the winner of Jorge Masvidal and Darren Till that takes place at UFC Fight Night 147.